Manchester Soccer Academy SPRING 2019. The season starts on April 13th and runs on Saturdays through June 8th. There is no session on Saturday, May 25th (Memorial Day Weekend). We are looking forward to the Spring 2019 season. New this spring, Coach Mo ElSayed and Sphinx Soccer will be running our Academy program on Saturdays. - MSA will provide your child with a soccer shirt. You will see us sitting at the sign in table. - Soccer cleats are recommended but sneakers are perfectly fine. - All players MUST wear shin guards (under their socks). No child is allowed to play without shin guards. - NO jewelry is allowed. (No earrings, bracelets or necklaces). If you’re thinking of getting your child's ears pierced, please consider waiting until the end of the season. - Bring a water bottle for your player. NO PLAYER DROP-OFFS are allowed. There needs to be a parent or guardian at the field at all times. There are two back to back 1 hour PreK/K sessions on Saturdays (first session starts at 12:30 and the second at 1:45) and the program is coed. All players will receive their academy shirt on day one and should wear it to each Saturday session. Please arrive no later than 10 minutes before your scheduled start time. The program starts with a fun drill that will emphasize a soccer fundamentals. At this age the best way for children to learn soccer is to simply touch (kick) the soccer ball as many times as possible. We will be looking for parent volunteers to help out each Saturday so please be prepared to help. Towards the end of each session the coaches will bring the players together for a fun game for all to play. *Grade PK/KG (formerly U6) - Spring players are attending their final year of Pre-K or currently in Kindergarten. 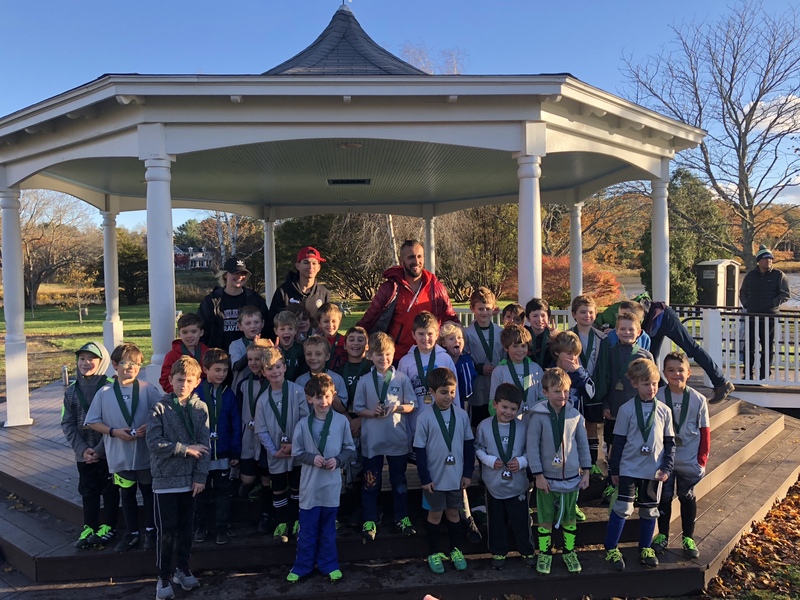 Fall Soccer 2019- Look for sign ups late July 2019. PreK is for 4 year olds who are entering their final year of preschool. They will be playing together with kids entering kindergarten. There is one Grade 1/2 session for each gender. The boys’ session will run from 3:00 - 4:15. The girls’ session will run from 4:30 - 5:45. The format of the Grade 1/2 program is similar to PreK/K where the focus is on high touch but we also incorporate more of a team atmosphere with more game-type situations. Each session starts with a fun drill for about 15 minutes and then the players break into teams for 4v4 games. At this level we introduce team formation and real game situations in order to prepare the players for our more competitive Grade 3/4 level. Any questions relating to the Academy age group, please email meghan_guittarr@yahoo.com .